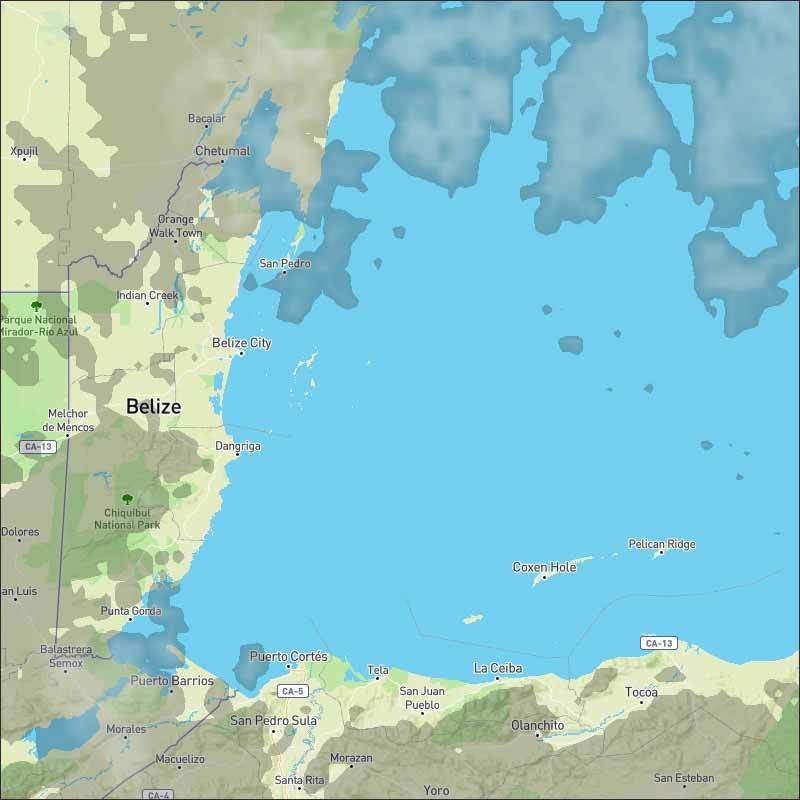 Belize NMS: Generally fair weather will persist over the area, with daytime temperatures feeling hot. 24-hour forecast: Sunny today and partly cloudy tonight, with only isolated showers developing. 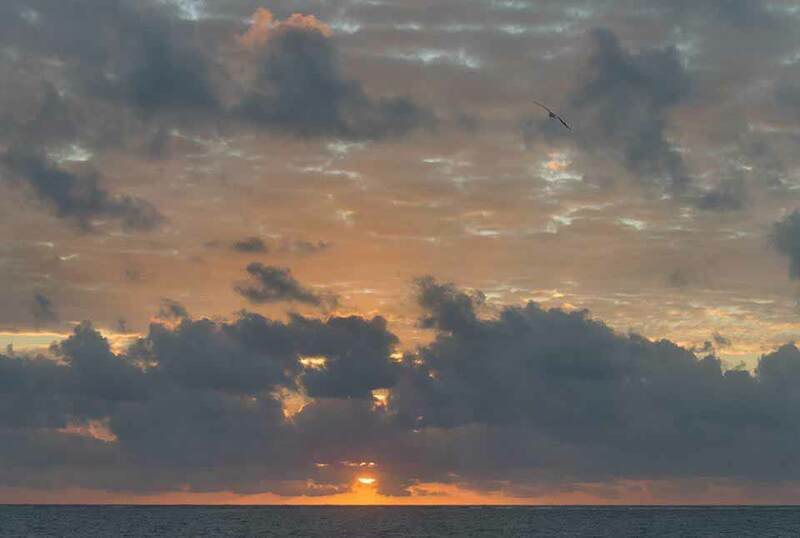 Today E-SE 5-15 kts Choppy 3-4 ft ONLY ISOLATED SHOWERS. Tonight E 5-15 kts Choppy 3-4 ft ONLY ISOLATED SHOWERS. Outlook E-SE 10-20 kts Choppy-Moderate 3-5 ft SUNDAY NIGHT:- ISOLATED SHOWERS. A Gale Warning is in effect for the south-central Caribbean. Broad upper level anticyclonic wind flow spans across the basin. Abundant dry air is observed across the western Caribbean near the coast of the Yucatan Peninsula into western Cuba, while low level moisture is noted in latest sounding data across the Greater Antilles. Moderate to locally fresh trade winds prevail over much of the Caribbean, as noted in scatterometer data. Mainly moderate to locally fresh trades will prevail through the next several days. This morning on Ambergris Caye the wind is from the East at 9 mph and our day looks sunny. The expected high temperature is in the mid 80's. The easterly Caribbean winds are the predominant wind with stringy cloud, but there is also cloud coming down from the NNE, over the sea. 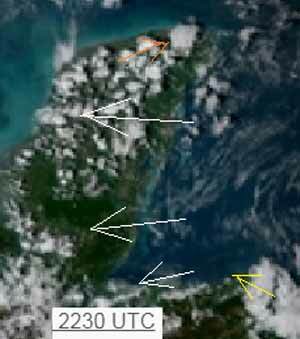 Most of Belize has relatively clear sky this morning but there is fog in western central Belize. The Caribbean winds are now starting to form white clouds as they come inland, so there are now clouds down most of the coastal regions. Only a few small traces of any rain. Looks like today will be largely sunny, with white clouds developing during the morning, only a small chance of the odd rain shower. 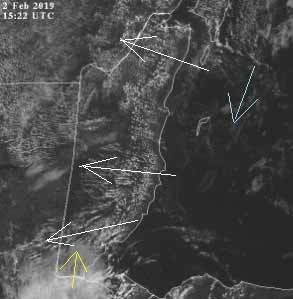 Caribbean clouds now developing inland, cool air coming down over the sea from the NNE and warm air coming up from the south over Toledo. No rain now. Today's clouds that have developed, first just inland, and now all across the land as the ground warms up by the sun. What happens is the Sun warms the land, that causes the warmed air to rise up, as it rises, it gets cooler, so at a particular height, that then causes the moisture in the air to condense, forming clouds, typically lines of cloud. So when this air has risen, it now has to be replaced, so cooler air comes in. So this effect follows the Sun, so that causes the normal Caribbean wind to move from east to west, following the Sun. That is why clouds and the wind often develop in the morning, then reduces in the late afternoon, because the Sun heating of the ground has then passed. There is not much cloud out there in the Caribbean, only a small hint of a little warm air coming up from the south, nothing much happening. 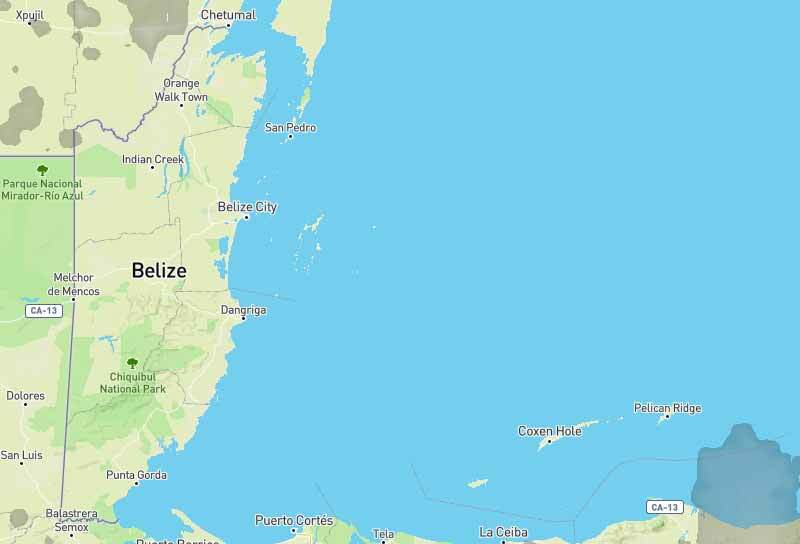 Looks as if tomorrow will be rather like today, some fog in central Belize in the morning, cloud developing later, during the morning, mainly a sunny day, I am not seeing signs of rain.